No matter when or where they happen, the immense tragedy of a school shooting seems to rock us to the very core. A video, produced in the aftermath of the Sandy Hook Elementary School tragedy, offers a powerful portrayal of something that none of us want to even think about. It’s a story everyone needs to see. This Sandy Hook Promise Production takes your breath away. Why did no one see the signs, why did no one reach out to that clearly troubled young man? We often ask ourselves those kinds of questions in the aftermath of such an unspeakable event, but perhaps our efforts need to start earlier. Children can feel and learn empathy as early as age 3. 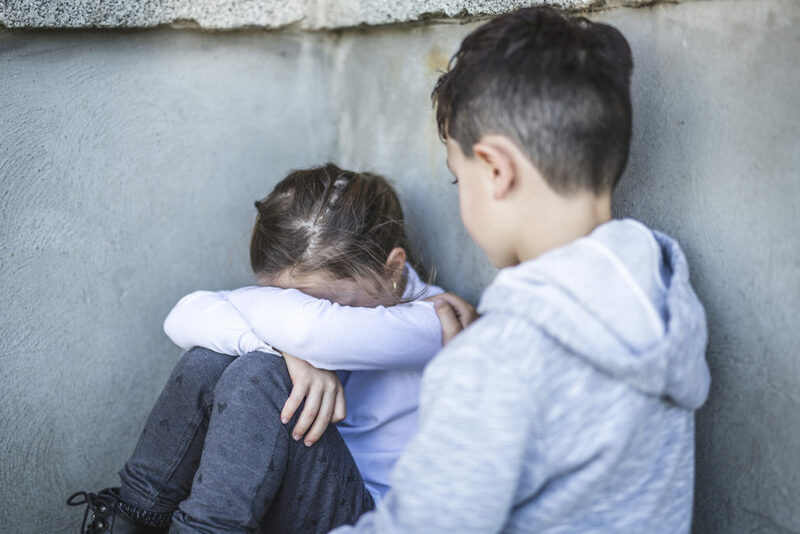 Maybe it’s time that we, as parents and teachers, and as a society, do more to encourage empathetic behavior by teaching it at home and at school beginning in the pre-school years. I don’t mean to sound preachy or idealistic. I know that no matter how much we focus on empathy, there will always be young people unable to cope with their feelings of anger, isolation, insecurity and depression. But the following suggestions by Dr. Michele Borba, author of Unselfie: Why Empathetic Kids Succeed in Our All-About-Me World, may help us raise children who grow up to be caring, compassionate adults. Give your child an opportunity to make amends or “repair the hurt” if she has been unkind to another child or someone in the family. We can’t always take back our words, but if we punish our child rather than giving her a chance to choose less hurtful words or actions, we are missing the opportunity for a teachable moment to impart our values. Encourage empathy by reading stories, watching a movie or role-playing situations that help a child understand what others may be experiencing. A few weeks ago, my husband and I watched the movie “Wonder” with our grandson. Although at age 9 he is way past the pre-school years, we were able to talk about his being teary eyed when the main character was being bullied because of his deformity. It also added to the acknowledgement of our empathetic value system when both my husband and I shed our share of tears during the movie as well. Support empathy education in schools. There are many such programs available. Perhaps the Parent Teacher Association could be helpful if additional funding is needed to secure these programs. Be conscious of the message you are giving your child about your values. We all want our children to succeed academically in school, but are we also interested in having them grow up as empathetic members of society? Along with asking your child what he learned in school today, you can also ask him if he did something kind or helpful. Young children don’t use social media on their own, but when they do, be aware of how and how frequently they are using it. Being empathetic most often requires face to face interactions so voice tone, body language, facial expressions, etc. can be seen. Social media negates that awareness. Teach them the importance of standing up for others. Being a bystander to mean or bullying behavior may seem to be an easier, safer way to handle these situations. Being an “upstander” requires courage, but it is that behavior that can truly make a difference. Each of us has the ability to find our “inner hero” who will not only be empathetic, but will act on that ability to understand what others are feeling. According to Dr. Borba, teens today are 40% less empathetic than they were 30 years ago. She connects the lack of empathy to an epidemic of self-absorption that she calls the Selfie Syndrome. If someone had recognized signs of pain sooner and had reached out to any of the high school shooters, would the outcome have been different? No one knows for certain, but we would probably all agree that if teaching children to care about others can create a more empathetic society, those lessons bring more hope for the future. JCS offers prevention education programs on the following related topics: bullying, self-esteem, and gender diversity. Please contact Susan Kurlander at skurlander@jcsbaltimore.org for more information about these programs.